DO YOU LOVE YOUR NEW INFINITI? THEN IT’S TIME TO START TELLING ALL YOUR FRIENDS. PEOPLE WOULD MUCH RATHER PURCHASE FROM A DEALER WHERE SOMEONE THEY KNOW HAD A GREAT BUYING EXPERIENCE, AND WE’D LOVE TO HELP THEM CHOOSE THE INFINITI THAT’S RIGHT FOR THEM. IT’S A WIN-WIN! REFER A FRIEND TO INFINITI of Clarendon Hills, AND YOU’LL RECEIVE A $100 REFERRAL CHECK IN APPRECIATION IF THEY PURCHASE A VEHICLE. IF SOMEONE YOU KNOW IS INTERESTED IN A NEW OR USED INFINITI, SIMPLY PASS THEIR INFORMATION ON TO US. 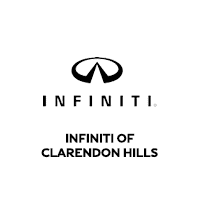 YOU’LL RECEIVE A $100 CHECK EACH TIME ONE OF YOUR REFERRALS BUYS A VEHICLE FROM INFINITI of Clarendon Hills. SO, START THINKING ABOUT YOUR FRIENDS, RELATIVES, NEIGHBORS, AND CO-WORKERS? ANYONE YOU KNOW! OUR GOAL IS TO MAKE EVERY CUSTOMER INTERACTION AN EXPERIENCE IN EXCELLENCE. WE DON’T JUST FOCUS ON SELLING CARS; WE PRIDE OURSELVES ON PROVIDING THE HIGHEST LEVEL OF CUSTOMER SERVICE AND COMMUNICATION. OUR SERVICE DEPARTMENT IS RELIABLE, AFFORDABLE, AND 100% PROFESSIONAL EACH AND EVERY TIME. WE MAKE IT EASY FOR YOU TO CONTACT US? YOU CAN REQUEST INFORMATION AND SCHEDULE APPOINTMENTS EASILY OVER THE PHONE OR ONLINE. JUST PROVIDE YOUR CONTACT INFORMATION AND ANSWER SOME BRIEF QUESTIONS ABOUT YOUR REFERRAL, AND CLICK “SUBMIT” IT’S THAT EASY! SO, START SPREADING THE WORD ABOUT HOW MUCH YOU LOVE YOUR NEW INFINITI!